Iceland is best known for its remote location between the North Atlantic and the Arctic Ocean. Geologically, it is a young island, formed 20 million years ago on the Mid-Atlantic Ridge. In the past few years Iceland made its way into the spotlight with the volcano eruptions, harsh financial collapse and community-driven recovery ever since. Most recently, the country is widely associated with the hit TV series Game Of Thrones – being the home of the White Walkers, hard-to-kill creatures with magical powers related to ice and cold. Along with the fantasy race from Beyond the Wall, Iceland is famous for the Viking explorers who settled the island back in 874 AD. What Crossfit community knows best are the family names which end with “dóttir”. Icelanders are using the patronymic system: father’s name is combined with the term dóttir (means daughter, used for girls) or son (for boys). You might have heard of family names like Thorisdóttir, Sigmundsdóttir and Davidsdóttir? What is the secret: the climate, genetics, water or the food? The land of fire and ice has a sub-polar climate. Based on the studies done by deCODE, a company for analyzing human genomes, Iceland also has the most homogenous population. Very well-known is the Icelandic water. Their cousine is based on dairy and fish, and includes dishes like Hákarl – rotten Greenland shark. Or is it the fitness culture? In 2014 VICE made a short documentary on their strongmen and fitness culture, labelling the country as “The Nest of Giants”. The film indicated that children grow up by engaging in sports and all kinds of physical activities. “The thing is Iceland has a very big fitness culture. It’s not uncommon to find our gyms here packed out from 6am through to 8pm. People here just love it,” explained Ingunn in our interview with CrossFit Sport, last year’s fittest team in Europe. Based on their Regional performances, all five Meridian women, who qualified for the CrossFit Games 2015, finished in top 11 worldwide. Four of them are from Iceland. Moreover, two of them hold an event record. Annie also won the Open 2015. You might have heard of a two-time CrossFit Games champion Annie Thorisdóttir. 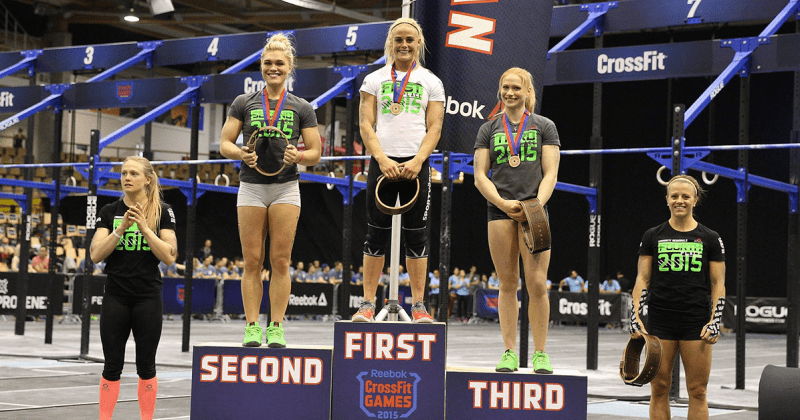 But who are the other Icelandic Crossfit girls? See our list of top 7. Annie is the first name of Icelandic, and worldwide Crossfit. A two-time champion made her Games debut in 2009. Alnog with two wins, Annie also has two second finishes in 2010 and 2014 – a year which marks her comeback after a back injury. This year Annie won the Open, but finished 3rd at the Meridian Regional. Video: DT with 70 kg.